Randy Toms was born and raised in Warner Robins, Georgia where he serves as an active minister. 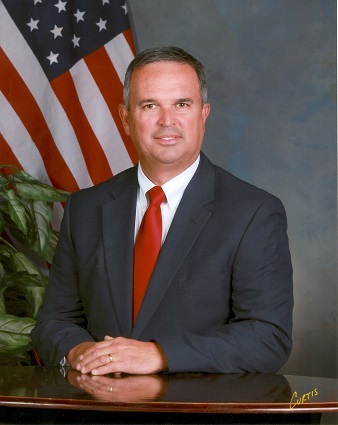 He is a 1979 graduate of Northside High School and earned his degree from Georgia Military College while working as a Fireman with the Warner Robins Fire Department. While working with the WRFD he earned rank of Lieutenant. During his twenty-seven year tenure as a fireman, Randy worked with the Muscular Dystrophy Association for twenty years and emceed the televised event for ten years. In addition to serving his community, he is also a veteran of the United States Air Force. Under the supervision of Judge Edward Lukemire, Randy also worked as a bailiff with Houston County Superior Court for fifteen years. As a native of Warner Robins, Georgia, Randy decided he wanted to serve his city in a higher capacity. Therefore, he ran for and was elected Mayor of Warner Robins in December 2013. He was officially sworn in as mayor of the “International City” on January 6, 2014 and was sworn in for his second term on January 2, 2018. Mayor Toms is the author of a book entitled “Just A Fireman.” He has been married to his wife Jane, for thirty six years. They have two children and five grandchildren.